Coluber constrictor priapus (Southern Black Racer). Size: approx. 600 mm. Photo: 04/08/12, noon. 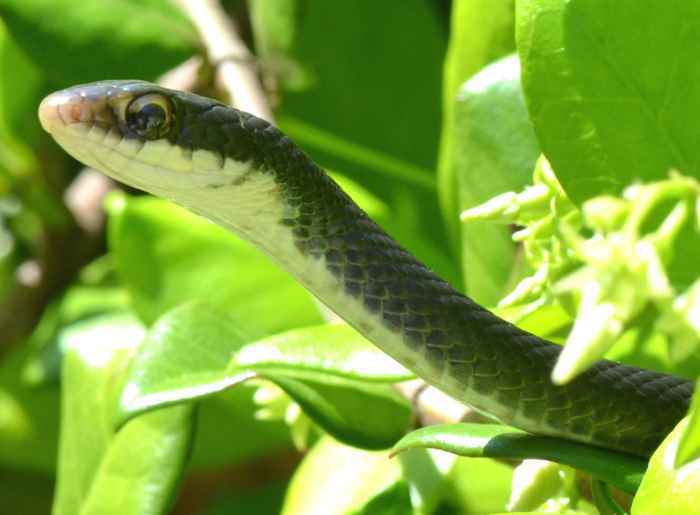 This snake surprised me while I was looking for insects in my beautiful jasmine-covered trellis. It seems to be a Black Racer (Coluber constrictor priapus). They can reach a length of over 60 inches and feed on rodents, frogs, birds, and lizards. They kill they prey by suffocation or crushing. 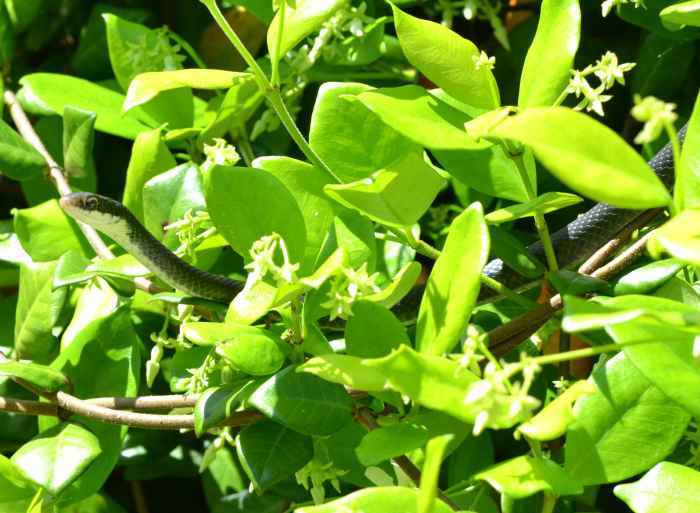 This snake held itself in the jasmine at a height of approx. 6 ft. and did not move at all.